This wonderful chalet, recently renovated from a traditional Savoyard barn, is beautifully furnished throughout. The quality of its furnishings are excellent, with impeccable attention to detail. The chalet maintains a lovely, warm traditional Savoyard ambience all the way through its wooden interiors. The spacious open plan living and dining area is an ideal place to unwind after a day on the slopes. Relax in the comfortable seating area watching the large flat screen TV showing British channels while a traditional log fire burns in the background. The large French windows lend light to the living area, and give access to the balcony where guests can enjoy the fresh mountain air and spectacular alpine views. All the bedrooms are a comfortably good size with excellent full en-suite facilities. If you are booking the entire Chalet Cervin, additional childrens beds can be placed in some of the rooms, please call for details. 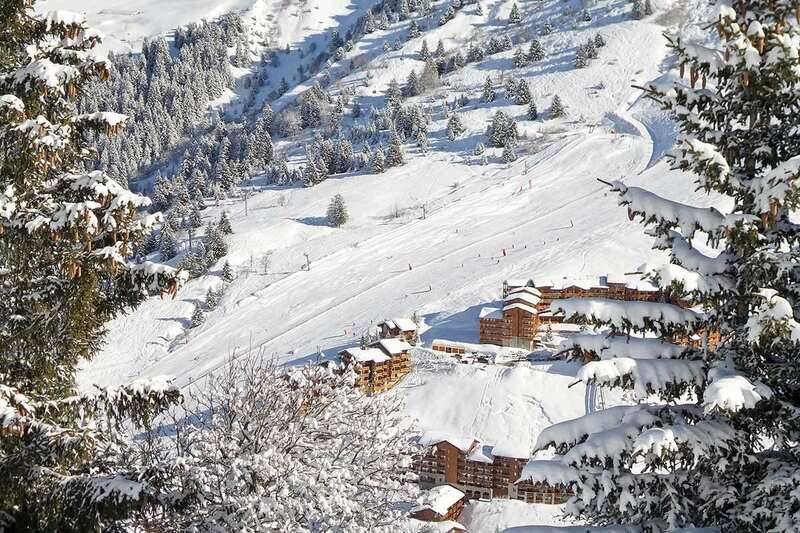 When you pre-book your equipment hire with the chalet operator, guests of Chalet Cervin benefit from the in chalet fitting service. Chalet Cervin can take a maximum of two infants. Rooms 3, 5 and 6 can take a cot. Chalet hosts live out. Chalet Cervin has six bedrooms all with full en-suite facilities, and again, lovely attention to detail creating a traditional chalet feel; rooms 5 & 6 have great character with large velux windows and sloping ceilings but this does create some height restrictions. If booking the whole of Chalet Cervin, an additional child's bed can be put in room 5. For a quote please contact our office. The Cervin chalet hosts live out. Rooms 3, 5 & 6 can take a cot. We are a party of 7 in a chalet of 13 What a great time we had all the guests hit it off straight away. I must say what fantastic hosts we had Pete and Rachel where excellent the food was outstanding homemade cake and bread every afternoon beautiful meals every evening and hospitality second to none ,which made it special for us all even helped us sing a few after dinner songs ?? Shout out for Ross as well for the shuttle bus transfers thank you guys ?? Our hosts were exceptional with great cooking and very relaxed atmosphere. They were always very helpful and good hosts. The ski boot heater was working well so lovely warm boots in the morning. All in all a good cosy chalet which worked well for our group. The option of a lift in the morning to the ski lift was often helpful when the bus was busy as it was too far to comfortably walk in ski boots. Personally I think there is too much cake in the afternoon as seldom does it all get eaten but except that some people do like it!